For this reason, we’re narrowing this article down to visual designers, or graphic designers. We mention this because the design professionals we’re talking about are fluent in Adobe Photoshop, Illustrator and InDesign. Graphic designers have a lot of opinions about fonts and kerning and they can spot the difference between Arial and Helvetica at 50 paces. Graphic design can include web designers, UI designers, or product designers, among others. 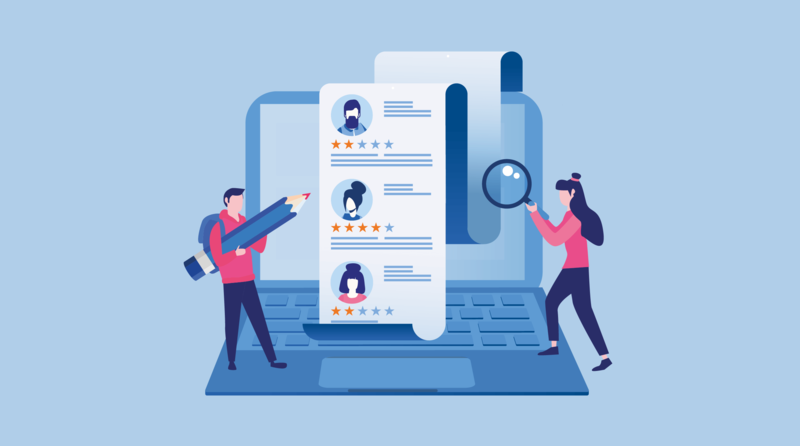 In addition to these tools, there are dozens of sourcing tools that give you a full picture of all candidates that are out there. Here’s what you should know when you hire designers: to start, many of the best are already employed. And some designers prefer freelance work to full-time permanent roles. Finally, if you’re recruiting designers for a specific professional background (book design or packaging for example), truly qualified candidates may already be hard to come by. For all these reasons, a larger pool of candidates will make it easier for you to fill these jobs. Sourcing candidates? People Search from Workable is the fastest, most effective way to find email addresses, resumes, social and professional profiles. The recruitment equivalent of leaving money on the table is not asking your team about people they know who might be a good fit. Employee referrals are the oldest and most effective sourcing strategy for all jobs in all industries. Have your team ever worked on any projects that involved design in a significant way? (Website redesign? Annual report?) Who did they work with? Another approach to graphic design recruitment is to huddle together to brainstorm a list of work you admire, the designers who created it, and any connections your colleagues have that might help you bridge the gap between you and those people. You may have noticed that it’s not always easy to cold call (or email) a candidate. Having a regular presence at design meetups and conferences will help you get some warm leads to recruit designers, whether they’re active job seekers or designers willing to introduce you to talented friends. Search for relevant events, such as Creative Mornings or TEDx (D stands for Design) in your city on sites like Meetup.com and Eventbrite. Expand the reach of your jobs by recruiting designers online. We’ve put together an alphabetical list of paid and free places where you can post your jobs. This list also includes sites where designers network, get career-related content and display work samples. 99designs.com – If you’d like to quickly hire a freelance visual designer, post a design contest on 99designs.com. Designers will use your project specifications to produce their submissions, and you pick the winner. Here’s a guide to getting started. You can also do this to source candidates for a full-time role down the line. Awwwards – Awwwards has an Awards of the Day page that is a fast way to find recent design work lauded by a community of industry peers. Both winners and jurors make up a high-quality candidate pool. Behance – Home to the world’s largest creative network. On Behance, you can search over five million profiles by creative fields, schools, tools and keywords. You can also post jobs to their job board. Carbonmade – A portfolio site for a wide range of creative professionals. You’ll find illustrators here, but also copywriters, animators, and product designers. There’s also a “for hire” filter in their search bar that you can use to find active jobseekers. Coroflot – The longest running career site for creative professionals. Coroflot hosts portfolios, a directory of design firms, a design salary guide, and a database of job and project openings. Dribbble – Dribbble hosts portfolios, a job board, and rich user profiles that enable you to search for designers or design teams by skills, cities, and countries. Users can even tell you if they’re looking for work by adding a green “Hire Me” button to their profiles. Designjobsboard – A premium job board for creative jobs spanning graphic design, art direction and design management. Vacancies mostly in the US and UK. DesignWeek – The UK’s leading design magazine. Publishes news, views and inspiration for designers and other creative professionals. They also boast an active job board. HyperIsland (free)– HyperIsland offers online design courses to students around the world. Post jobs on their job board for free, and browse detailed profiles of students and alumni. If You Could (free) – If You Could is the job board for the design hub (online mag, print mag, and event series) It’s Nice That, and job ads on this site are free for the first 28 days. LinkedIn – There’s lots of ways to find designers on LinkedIn. You can post a job ad, share your job description through your company page, and search for passive candidates by job title and location. You can also look up groups such as Graphic Designer Lounge. Squarespace – Many designers’ portfolios are hosted not on a portfolio site, but on their own Squarespace site. Squarespace doesn’t have a search function that will help you surface just designers’ sites, but a Google X-ray search (try site:squarespace.com “graphic designer”) should help. The Dots (free) – Earn credit to post design jobs for free through activities such as creating a company profile, and promoting The Dots on social media. What’s your creative approach to recruiting designers? Talk to us at @workable. Want more detailed advice on sourcing great candidates? Download our complete guide for free.